Amanda A. Allen is the author of These Lying Eyes, Song of Sorrow, and Compelled by Love. 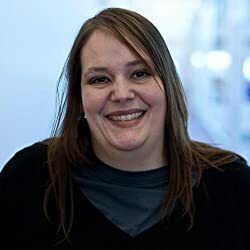 She is part of the author groups behind Kendawyn Paranormal Regency and The Paradisi Chronicles. Amanda A. Allen has been telling herself stories since she was a small child. Some of these stories are now in book form. She lives in the Pacific Northwest with her three children, two dogs, and mounds of novels. Please enter your email address and click the Follow button to follow Amanda A. Allen! Queen Marana will allow nothing to threaten her rule. Not even her sons. When Snow White falls in love with a man too charming to be real, Rose Red warns her that all was not as it seemed. Only Snow didn’t listen and their fates were changed. Will Snow find redemption? And as she journeys to free her sister, just how dangerous will she become?